Search all of the properties listed for sale in Aspen and Snowmass. The crisp mountain air, cool breezes, mountain vistas, and the ultimate outdoor opportunities bring people from all around the globe to the paradise we call Aspen. Explore the scenery, listen to world-class music, enjoy the finest art, incredible cuisine and make friends with some extraordinarily unique people. Whether you come to Aspen to relax, play, or to live permanently, capturing the sensation of your individual Aspen experience in a special piece of real estate. Are you searching for an estate to share with generations, a turn-key condo or an investment, we can assist you in locating the perfect property. Clients benefit from our 30+ years of real estate experience and over 200 recent sales transactions. Kim has been #1 in number of sales in the Aspen MLS for 2 years and remains a top producing real estate broker in the Aspen/Snowmass area. We are committed to serving each client’s individual goals. 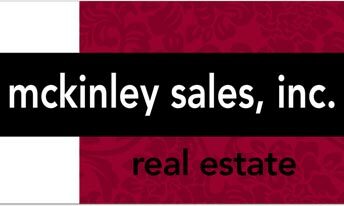 McKinley Sales Real Estate is Aspen's most innovative real estate team. © 2018 Aspen/Glenwood MLS. All rights reserved. IDX information is provided exclusively for consumers' personal, non-commercial use and may not be used for any purpose other than to identify prospective properties consumers may be interested in purchasing. Information is deemed reliable but is not guaranteed accurate by the MLS or McKinley Sales. Data last updated: 2018-05-02T23:38:56.87.